For new agents starting in the business, the education you receive to obtain your real estate license teaches you about real estate rules and regulations but, there's still a lot you can learn to maximize your potential in this business. 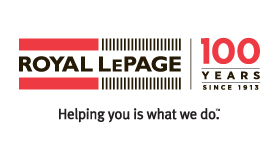 The Royal LePage brand is a name that consumers know and trust. It will get you in the door without any objections. Royal LePage branded materials including a personalized silver pin, a branded portfolio and a professionally-branded email address. A starter web presence through a free profile page on our national website, which is accessed by hundreds of thousands of Canadians looking to buy and sell their homes. We offer live monthly Welcome Webinars, and Royal LePage 101, a series of 4 webinars that will introduce you to the Royal LePage brand story as well as show you how you can use all of Royal LePage's proprietary tools and services for prospecting, client nurturing, working with buyers, working with sellers and obtaining repeat business. Our group of accredited Learning Consultants travel across the country to visit your office or a location near you. Our trainers provide you with hands-on training about the latest industry trends and best practices, using Royal LePage's proprietary tools and services to help you grow your business. We provide access to additional general training on sales and customer service through Royal LePage University and third-party industry partnerships. 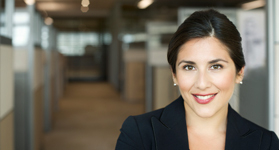 Access to a Royal LePage tailored Leader's Edge Virtual Training system. It's a 12-week course that teaches you critical selling, objections handling and negotiation skills in addition to business planning and time management skills. 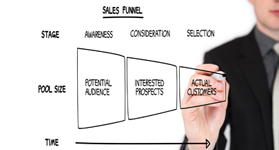 As you develop the key skills, you'll want to access Royal LePage's tailored Buffini & Company's Peak Producers program which teaches you how to develop your sales pipeline by working your sphere of influence as well as using a system that teaches regular follow-up and accountability. 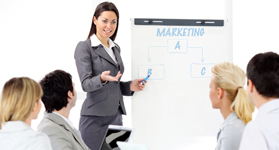 New agents on this program can set the foundations of a thriving business with this program. 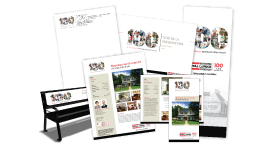 To market yourself, to build your sales pipeline and once you've got your first seller, you've got access to hundreds of branded print, email and multimedia templates on Royal LePage's Marketing Centre at your fingertips. Know that many others have succeeded as new agents at Royal LePage and that they are willing to provide you with the support and guidance required as we live our motto of Helping You is What We Do™.